A roofless house in Marshalltown. Among the destructive tornadoes that struck Iowa Thursday afternoon, Marshalltown took a direct hit, lopping the top off the downtown’s historic Marshall County Courthouse. Lennox Industries was damaged, as was Unity Point Health Marshalltown Hospital. Police Chief Mike Tupper has been a law officer for 26 years and says the situation is dire. “It’s easily one of the worst days of my life, horrific,” the chief says. He says first responders have worked tirelessly in the central Iowa community since the twister hit, leaving a wide path of toppled trees, twisted metal, damaged homes and businesses. 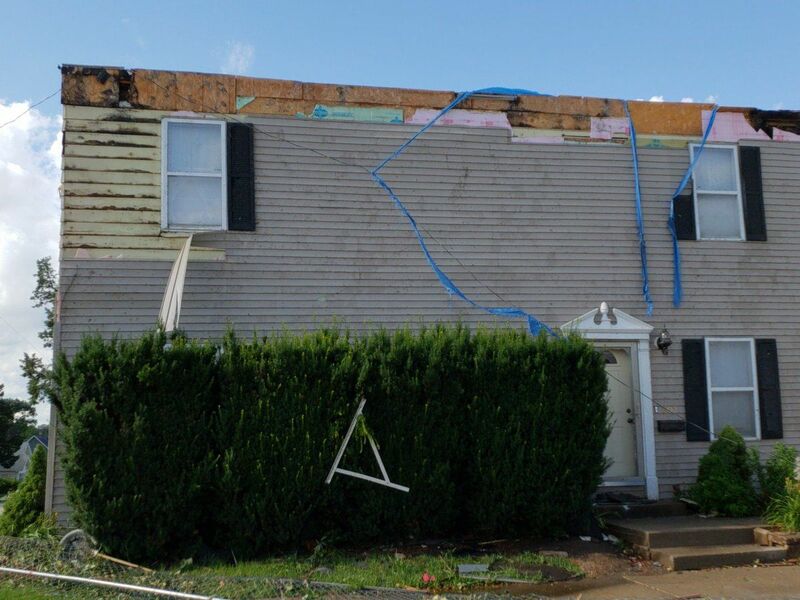 Authorities will need to start getting a tally on how many houses and businesses were damaged or destroyed, in addition to city buildings and other public infrastructure, everything from missing stop signs to demolished roads and bridges, for the FEMA report. While the electricity was out to several thousand in Marshalltown following the storm, most have had the power restored now, but natural gas will take much longer to bring back online. Chief Tupper says utility crews are working diligently. Patients who were evacuated from the hospital in Marshalltown were taken to other Unity Point facilities in Grundy Center and Waterloo.